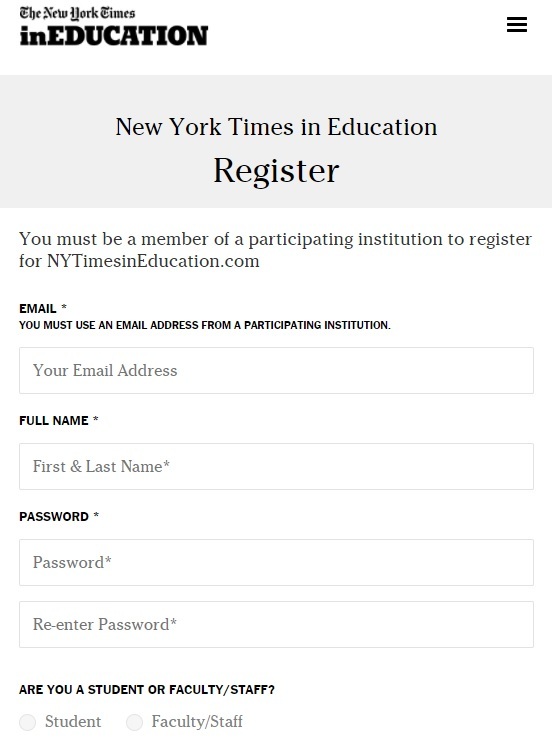 Clarkson University has digital access to both The New York Times and The New York Times in Education! The New York Times is an internationally recognized daily newspaper. Your account will allow you to access content dating back to 1851. Digital access includes all content found in the print edition EXCEPT the daily crossword puzzle. 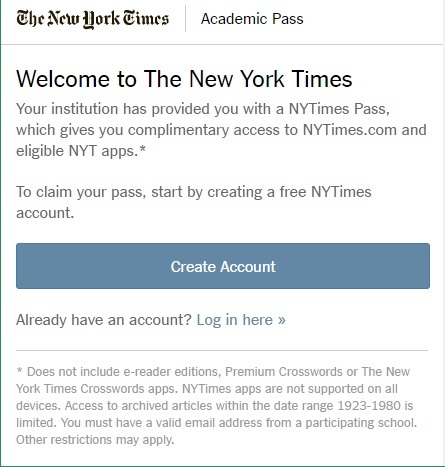 You will have full access to content on mobile devices through a browser or by downloading the free The New York Times mobile app. 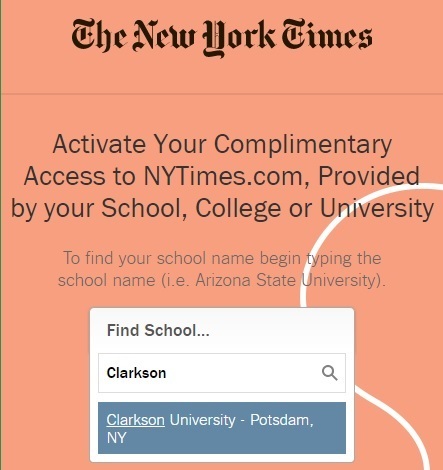 Step 2: Search and select "Clarkson University - Potsdam, NY"
The New York Times in Education allows instructors and educators to search the news by specific areas of interest for easier use of content in the classroom. Faculty, staff, and students are all welcome to create accounts. Step 2: Complete the registration form and click "Sign Up"